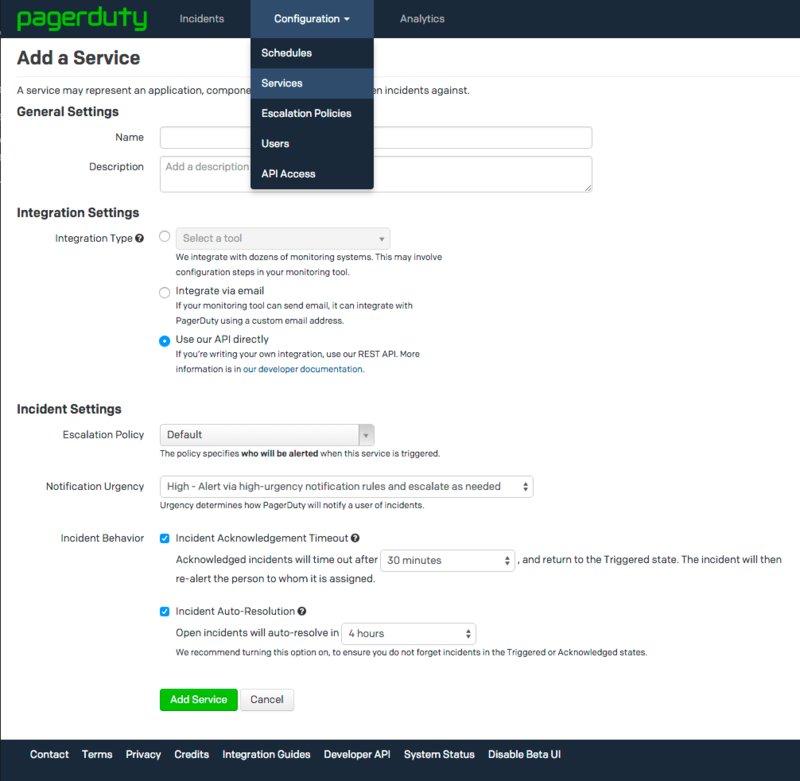 PagerDuty is a great tool to make sure the right person is notified when an error occurs. AppSignal notifies PagerDuty when performance issues or errors occur. New deploys are not sent to PagerDuty. AppSignal requires a service_key from PagerDuty to send error and performance notifications. You can create a service_key by adding a new "Service" under "Configuration" > "Services". Make sure that for "Integration type" the 3rd option (Use our API directly) is checked. The other details can be filled out at your own discretion. After saving the form, you can see the service_key. Use this service key on the AppSignal PagerDuty integration form. After saving, make sure the integration works by clicking "Test hook". If all goes well, it should trigger an incident on PagerDuty. As always, if you run into any issues, don't hesitate to contact us at contact@appsignal.com.